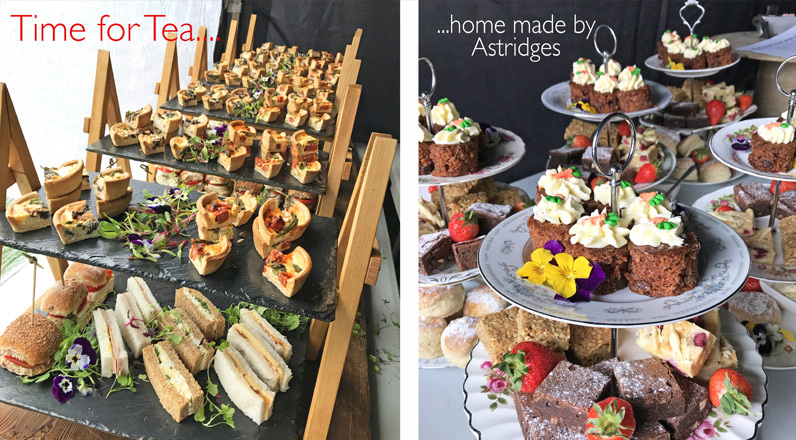 When you choose Astridges of Exeter, Devon for your wedding, corporate or private catering you’ll be sure of food that will bring a smile to guests’ faces and be an outstanding feature to the occasion. We prepare everything with a passionate commitment to local produce, specialising in a wide spread of menus – all freshly prepared by us. From a family occasion to a wedding feast or an office lunch to a community gathering, we are on-board from the day you start planning the event. We take a special interest in getting to know you, the venue and the order of the day so that everything runs just as you should expect. However big or small the occasion, two things matter above all – your satisfaction and our reputation. Astridges at Webfest. A wet and cold day but we had our friends to keep us warm….namely four full-size, 3D props of our cartoon characters. © 2019 Astridges Catering. All rights reserved.